Zhang F, Yuan N J, Lian D, et al. 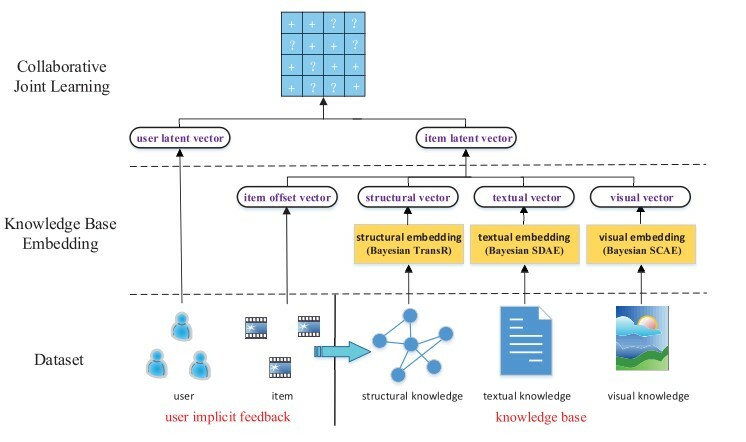 Collaborative knowledge base embedding for recommender systems[C]// KDD, 2016: 353-362. 得到关于item的三种Embedding，与CF的latent factor 加起来，得到item最终的embedding 用户：仅仅有CF的latent factor. Wang H, Zhang F, Xie X, et al. 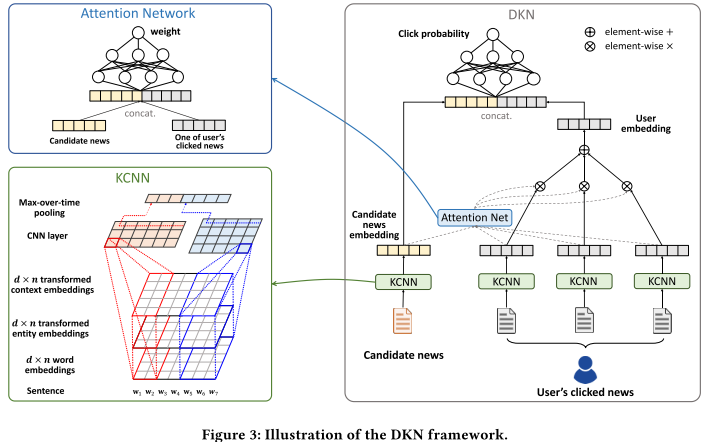 Dkn: Deep knowledge-aware network for news recommendation[C]//WWW, 2018: 1835-1844.
entity emebdding: KG Embedding得到的 entity embedding. 对于非实体的词，直接补全为0即可. Wang H, Zhang F, Wang J, et al. 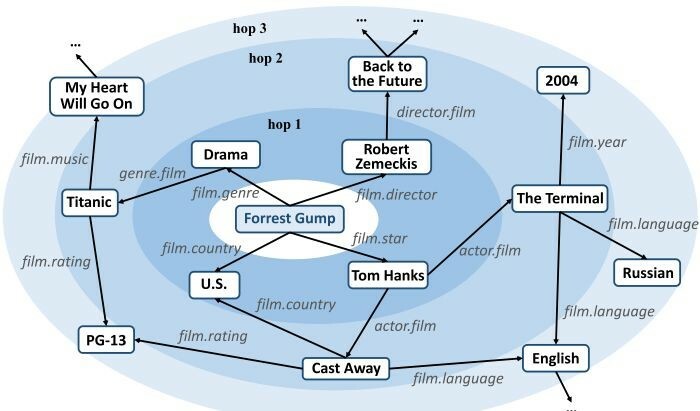 Ripplenet: Propagating user preferences on the knowledge graph for recommender systems[C]//CIKM, 2018: 417-426. 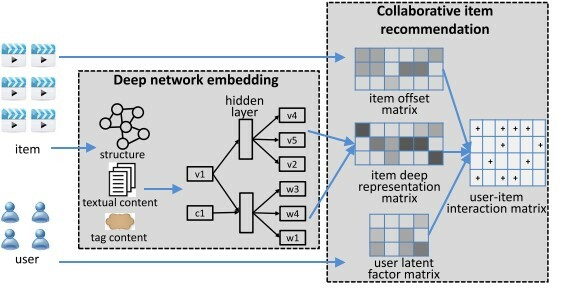 Zhao W X, Huang J, Wen J R. Learning distributed representations for recommender systems with a network embedding approach[C]//AIRS, 2016: 224-236. Gao L, Yang H, Wu J, et al. Recommendation with multi-source heterogeneous information[J]. IJCAI 2018.